Philips Korea said it has launched Ingenia Elition 3.0T, a new magnetic resonance imaging device in Korea. The device is the latest advance in the company’s efforts to change to a value-based approach, according to the company’s news release. Based on the new Vega HP gradient, the use of ultra-high-speed and resolution inspection, which was impossible with existing hardware, the new machine has made it possible to expand clinical applications and research significantly. It also applies the compressed SENSE, which is a technology that reduces MR imaging time based on proprietary algorithms. It can achieve high-resolution images up to twice as fast as compared to conventional MRI (2D, 3D, 4D) on all parts of the human body, it said. 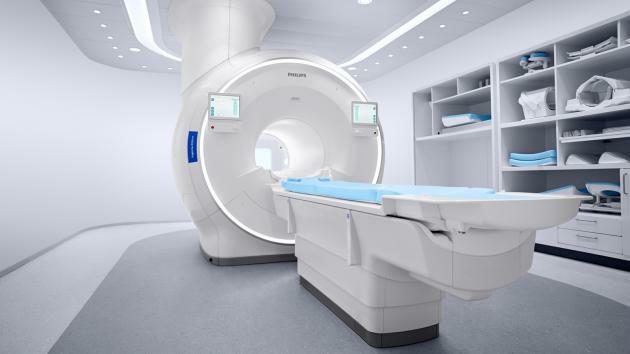 The machine also contains Philips' first commercially available MRI scans 3D APT, which can detect changes in tumor stage and ischemia by measuring protein content or acidity without the use of a contrast media. The AI-based SmartExam feature automates the inspection process and improves the workflow of the medical staff, the company said. For patients comfort, the company introduced ComforTone technology, which reduces the loud noise of the equipment, auto-voice function that automatically guides the inspection process, and the ComfortPlus mattress. “While the vision of healthcare has changed from being cost-based to value-based one for better medical care, the importance of imaging has become increasingly important as it can lead to early diagnosis, cost reduction, and effective treatment,” said Arjen Radder, leader of global business for MR at Philips. Philips has launched the digital MR Ingenia Elition, which provides high-quality imaging to improve diagnostic capabilities in radiology, while improving patient and physician experience, and imaging and operating efficiency, he added.